TetraHost Review 2019: Is TetraHost a Good Hosting? 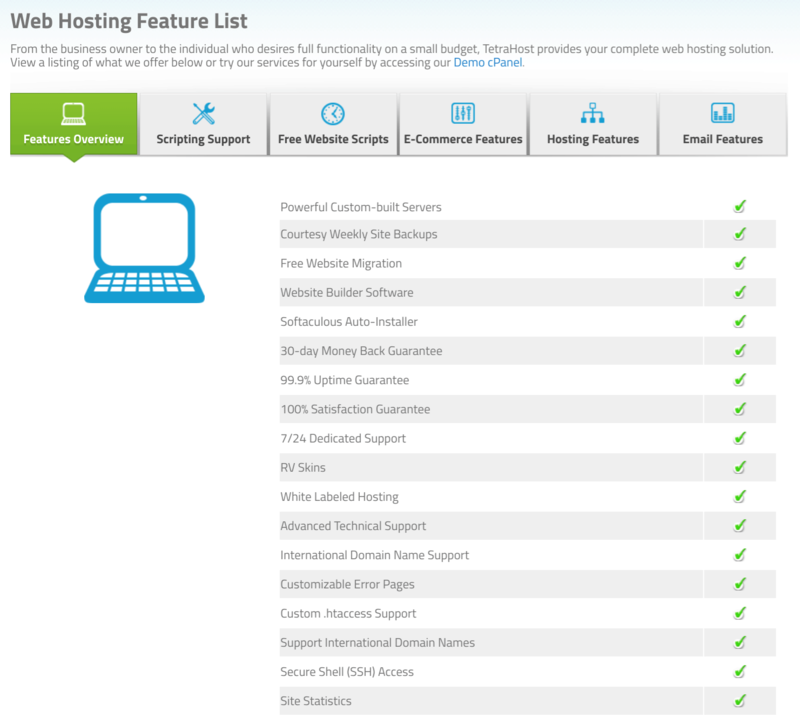 TetraHost provides beginner-friendly web hosting within Bangladesh and beyond. Bangladesh-based TetraHost has been in service since 2007, providing its Bangladeshi customers with shared hosting, radio hosting, and reseller hosting. It also has a presence in Singapore and the United States, and its website is in English. There are four web hosting plans that start you off with 1 GB disk space, 512 MB RAM, 30 GB bandwidth and one CPU Core. You can go up to 50 GB disk space, unmetered bandwidth, 4 GB RAM and 4 CPU Core. All hosting is provided on enterprise-class servers with a fast and redundant network to ensure a hassle-free web hosting experience with a 99.9% uptime guarantee. The SSL-secured servers are backed up using R1Soft. I like the fact that this vendor provides you with the most recent version of the very user-friendly WHM/cPanel control panel to manage your hosting in multiple languages. The bundled Softaculous auto-installer lets you run 300+ installation scripts. You can quickly and easily create and publish your website using the free RVsitebuilder. TetraHost’s hosting plans are pretty expensive for the resources you get– especially disk space. Other hosting companies will typically give you unlimited disk space (or so they say) for the same price. You do get unlimited multi-domain support with the entry-level plan, but no free domain. You can pay for plans in Bangladeshi taka or U.S. dollars on monthly or annual billing terms by PayPal, bKash, bank transfer, Payza, iPay, or even by sending cash in the post. You can get 12 months for the price of 10 if you sign up for an annual agreement, and you can take advantage of the 30-day money-back guarantee if you change your mind within the first month. TetraHost offers a collection of feature-packed web hosting packages that are carefully designed to suit both beginners and experts. Get beginner-friendly Bangladeshi hosting at TetraHost. Wondering how TetraHost stacks up against other Web Hosting companies? Enter any other Web Hosting company and we will give you a side-by-side comparison.